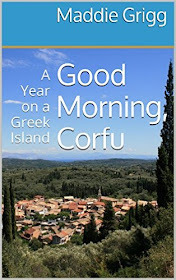 In a parallel universe, my book, Good Morning Corfu: A Year on a Greek Island is going down very well, like ouzo and iced water in the village plateia on a balmy evening. My dear friend, Betty, who is featured in the book, messaged me today in great excitement, after meeting a couple from Manchester who were in our Greek village looking for the Villa Oleander. Apparently, the only reason they visited the village was because they had read the book. 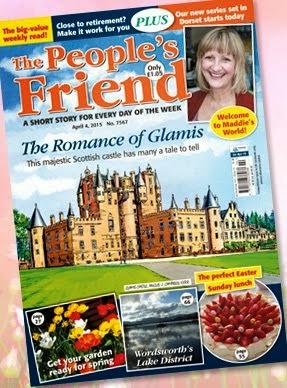 Of course, when Betty revealed that she was in it, they were delighted. Meanwhile, back in the real world, there is still so much sadness around me. I am wrapped within the pages of a family tragedy. I feel like I'm climbing a big wall of grief and I keep slipping down to where I first began. We must all grasp the good times when we can and share those precious moments when everything seems perfect. Like the weather here in Dorset today. 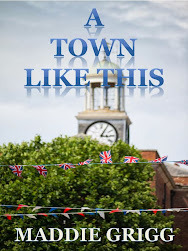 If you have read my Corfu book, please take a few minutes to leave a review on Amazon. In the meantime, here's a (heavily edited) interview with yours truly for the Great Destinations Radio Show.